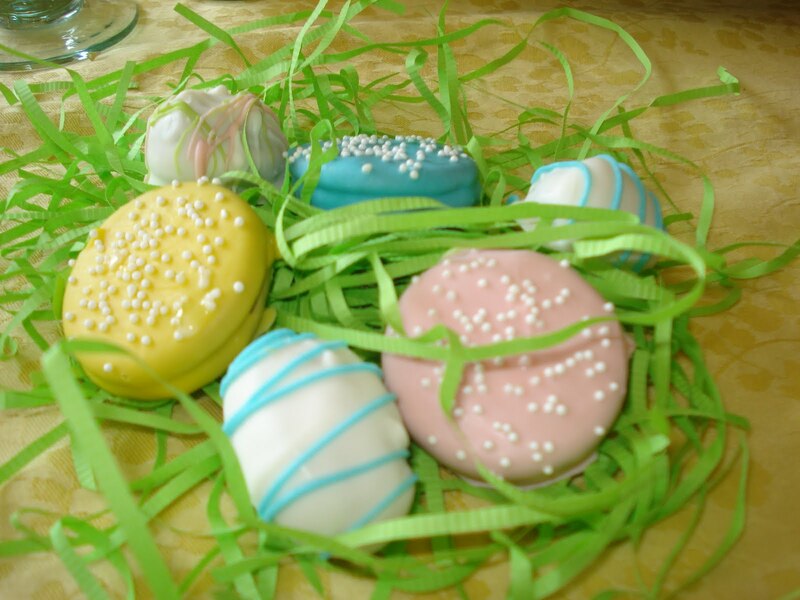 A sampling of the Easter treats I made for the weekend. While these take a little longer to firm up before dipping than the ever-popular oreo truffles, these cake eggs turned out to be pretty tasty. Adapted from a bakerella recipe, I created a funfetti version. Looking forward to making them again in a new flavor soon!